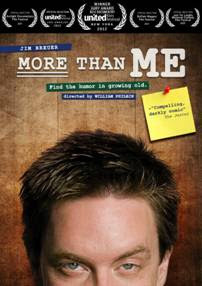 CURRENT TV to Air Premiere of Comedian Jim Breuer's Feature Documentary "More Than Me"
Current TV will air the worldwide television premiere of comedian and "Saturday Night Live" alumnus Jim Breuer's feature documentary "More Than Me" on November 10, 2012 at 8pm ET/5pm PT. The film chronicles Breuer's experiences as the primary caretaker of his 84-year-old father, while on the road for the first time in 6 years for a cross-country comedy tour. In the film, Breuer explains that he "knew [Breuer's father] needed to get out of the house … I knew this would give him so much life." The hilarious and heartwarming documentary proves that there can be humor in growing old. Founded in 2007 by Zac Greenbaum and William Philbin, Pilotfish Productions is an Emmy®-winning film and video production company with offices in New York and Los Angeles. Anchored by the principal that storytelling is paramount, Pilotfish has produced award-winning work across multiple platforms, including film, commercials and PSAs. For more information, visit www.pilotfish.tv. Featuring "The Young Turks with Cenk Uygur," "The War Room With Jennifer Granholm," "Viewpoint with Eliot Spitzer," "Full Court Press: The Bill Press Show" and "Talking Liberally: The Stephanie Miller Show," Current is dedicated to providing insightful news and analysis of important issues - and digging deep into real stories to uncover how they affect realpeople. "Vanguard," the network's Peabody Award-winning documentary series, shines a light where other networks won't dare and boldly explores provocative subjects - opening minds, sparking conversations and forming deep connections with its viewers. The Peabody-and Emmy Award-winning television and online network was founded in 2005 by Al Gore and Joel Hyatt, and features the very best in news, analysis, and political commentary. To get Current TV at home or to find the channel on your cable system log on to www.current.com. Fans can also follow Current on Facebook and on Twitter at @Current for regular updates.